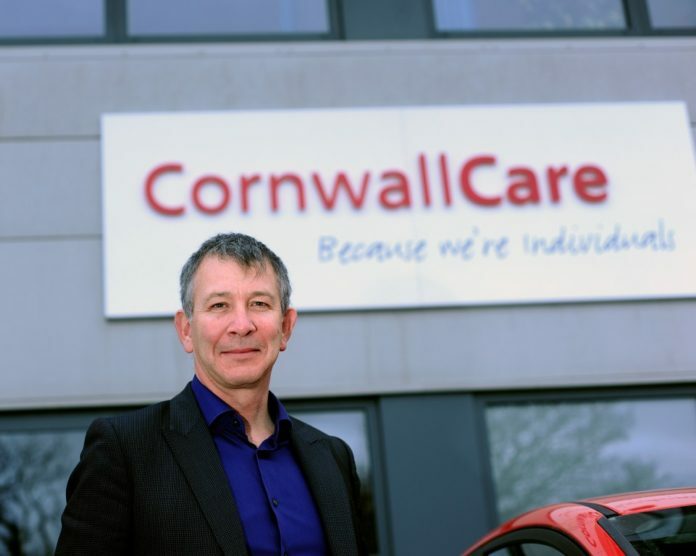 Cornwall Care chief executive, Douglas Webb, is stepping down after 12 years in post. Webb has led the not-for-profit company through the most successful period in its history to be a leading provider in Cornwall of residential care, nursing care and care at home. He will leave in November to concentrate on a new business that will combine his love of travel and competitive road cycling. Cornwall Care chairman, Dr Alan Stanhope, paid tribute to Webb for his leadership of the company, saying: “Douglas has made a tremendous contribution to Cornwall Care and we shall be sorry to see him go. Dr Stanhope said current operations director, Robert Black, who has more than 20 years’ experience in leadership roles in the NHS and the care sector, would become chief operations officer. He will work alongside finance director, Tjarko Wieringa, who will continue to lead Cornwall Care’s finances and property development activity. Speaking about his decision to step down, Webb said: “After 12 successful and exhilarating years I am now looking forward to a complete change of direction. For several years I have been developing my own business which is now at a critical point in its evolution and needs more of my time. “Having built a strong leadership team at Cornwall Care I can relax in the knowledge that I shall be leaving the company in the very capable hands of Robert and Tjarko, who must also take credit for what we have achieved. Cornwall Care looks after over 1,000 people across Cornwall and has developed innovative approaches to dementia care and staff training and development, which have won a number of industry awards. It employs over 1,200 staff and operates 16 residential and nursing care homes across Cornwall, plus extensive care at home services.